It's a bit easier to explain what lawyer advertising does because it's more tangible. 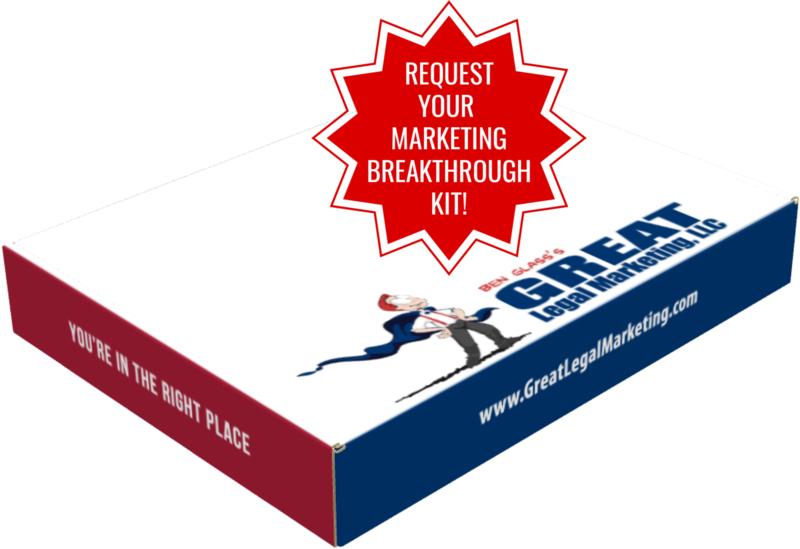 Lawyer advertising is the parts that make your legal marketing machine move. It's your TV commercials, print ads, personalized pens, and anything else you use to get your good name and legal marketing message out in the world. Every time you promote your law firm that's a form of lawyer advertising. But to have effective advertising, you need to have a message to send with that advertising. Just the simple "I'm a lawyer, hire me if you need legal help" isn't going to cut it. Your legal marketing message serves as a theme to which all your lawyer advertising should follow. Your advertising follows this theme and promotes the message you want your clients to get when they see your advertising methods in action. You should be considering your legal marketing message before you start deciding whether you're doing a TV or a radio spot to advertise. Some messages are best sent with specific lawyer advertising methods, so it's important to develop both concepts in tandem so they work together in practice. As you can see, there are differences between legal marketing and lawyer advertising. My article on the subject explains those differences, yet shows how the two concepts still need to work together to be effective.